Why it’s Okay to Switch Majors.. Professor offers ideas for ‘mi.. 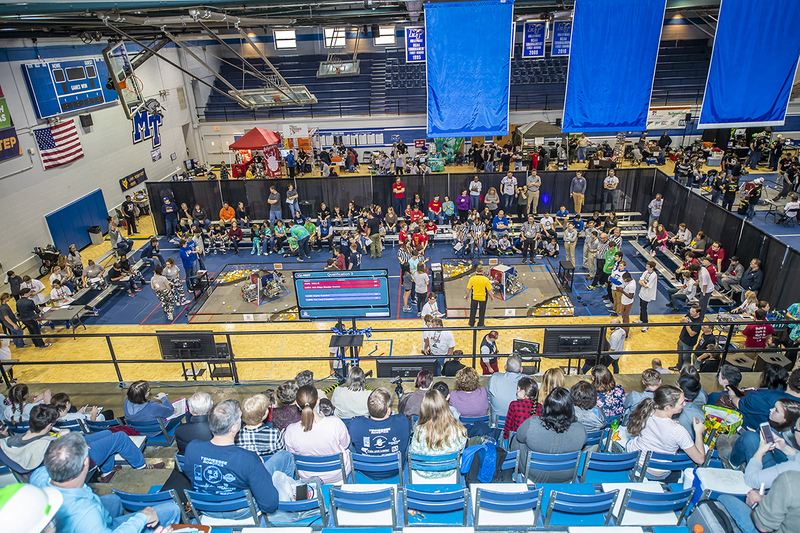 Teams from Alabama and Arkansas landed invitations to the FIRST Robotics National Championship later this year in Houston, Texas, during the FIRST Tech Challenge Tennessee Regional Robotics Competition, held Feb. 2 in MTSU‘s Alumni Memorial Gym. Tech Hogs Robotics of Springdale, Arkansas, and The Time Travelers from Huntsville Christian Academy in Huntsville, Alabama, earned their spots in Houston. In all, 28 teams, 230 participants and 81 mentors from five states participated in the Knoxville, Tennessee-based TNFIRST’s first robotics venture to the Midstate region. The Time Travelers received a first-place Design Award and placed third in the Inspire Award category. Tech Hogs Robotics, the first team selected by the team captain, advanced as a member of the winning alliance. The Tennessee FTC State Championship’s top two awards went to the Browncoats from Madison, Alabama, who received the Inspire Award, and the ’Lectric Legends, a home-schooled group from Lawrenceburg, Tennessee, who took home the Captain of the Winning Alliance. 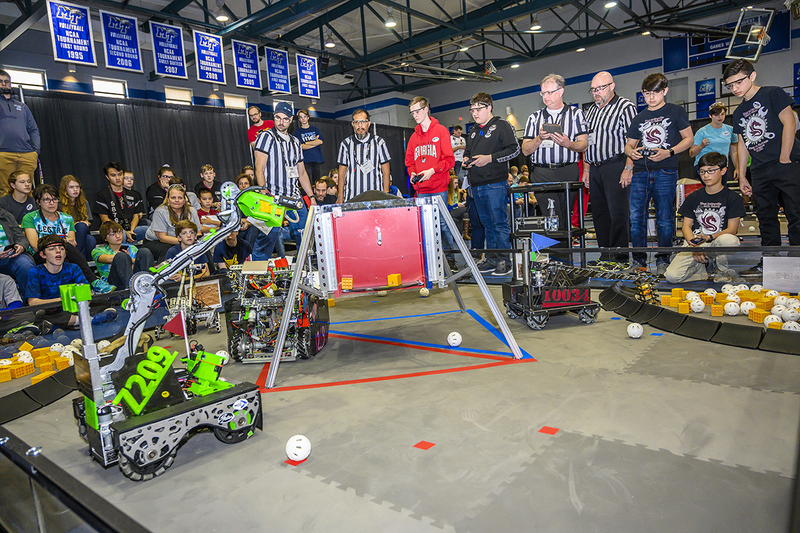 These teams previously qualified for the championship at other events, opening the door for Tech Hogs Robotics and The Time Travelers to earn championship berths. Tennessee Robotics Club, Murfreesboro’s lone entry, was the Collins Aerospace Innovate Award winner and placed second in the Design Award category. 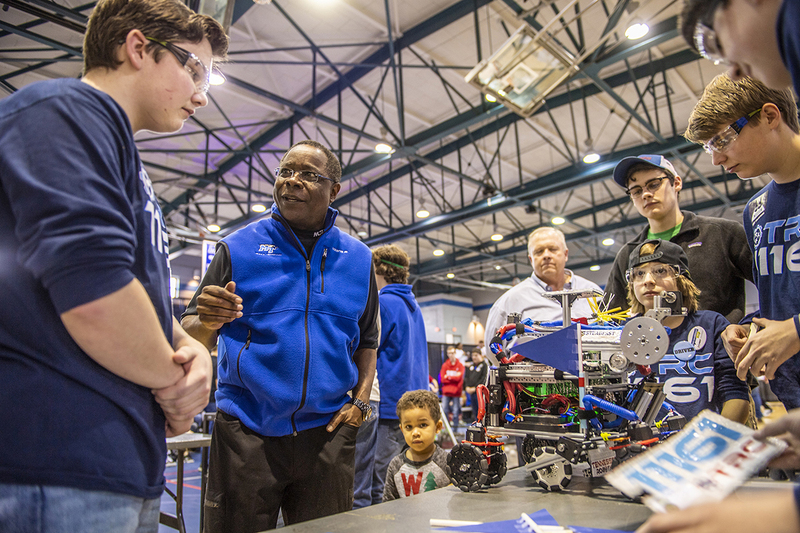 Joined by his 3-year-old grandson, Langston McPhee, MTSU President Sidney A. McPhee attended the robotics regional, speaking with members of the participating teams. 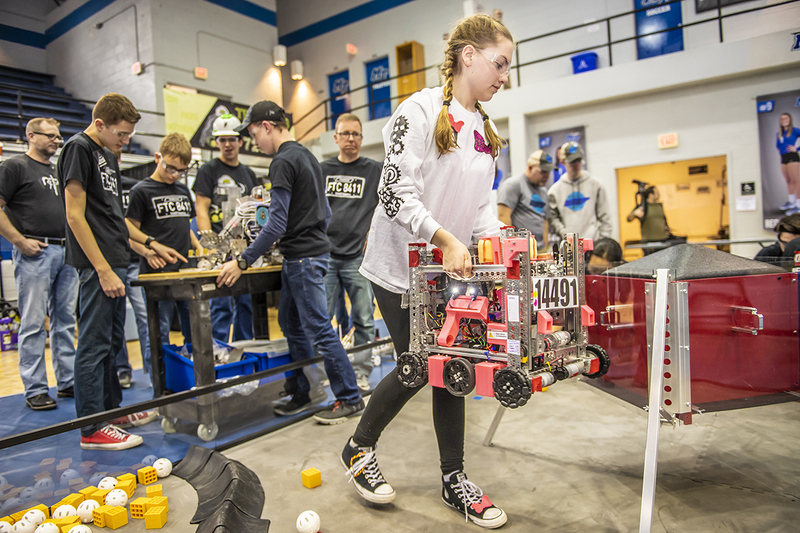 “For a first-time event, it went very well,” said Mike Wehrenberg, chairman of TNFIRST, a nonprofit corporation organized to provide resources and activities that build and expand mentor-based robotics programs across Tennessee. MTSU’s Department of Engineering Technology and the College of Basic and Applied Sciences helped host the event. One of the department’s signature programs is mechatronics engineering, which features robotics.